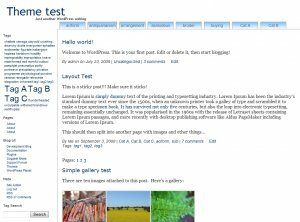 Encyclopedia is a theme based on Cryonie and aimed at encyclopedic sites. What makes it different is that it show categories in tabs and it displays on the home page last posts for each category. Minimum (800 pixels) and maximum (1920 pixels) width. Left column in continuity with the header. Tabs. Designed to contain up to 8 categories. The limite may be changed. Last post by category on the home page. It works on older browsers. 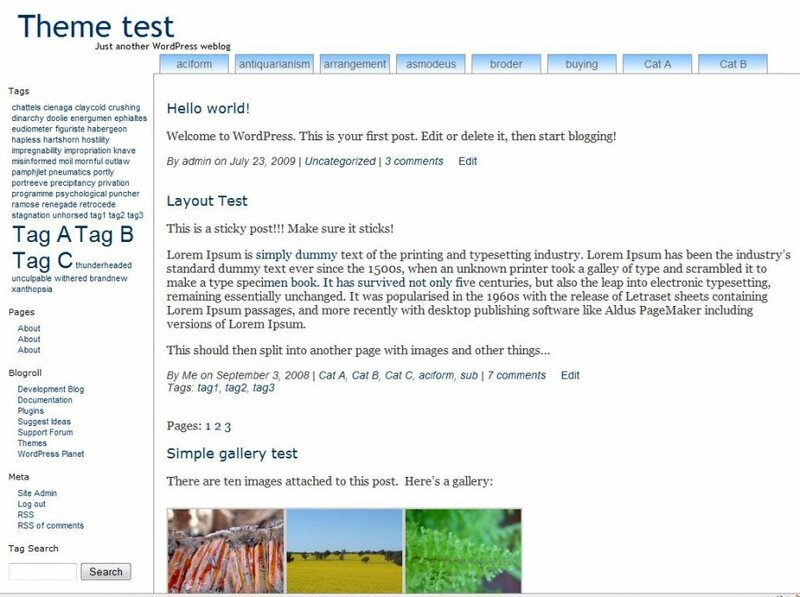 It runs on Wordpress 2.8 and probably previous versions providing they support the news functions in Wordpress. Optionally put your logo in the directory of the theme. Go into the administration panel to enable this theme. If you want to replace the textual title and description by a logo.